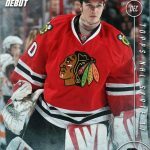 One year ago today, emergency backup goaltender Scott Foster stepped in between the pipes for the Blackhawks after both Hawks goalies went down with injuries. Foster was perfect, stopping all seven shots that he faced. Coincidentally, there have been exactly seven Chicago Blackhawks goalies who played in only one NHL game — Foster and six others. Here is a rundown of all seven Blackhawks goalies who had just one NHL game in their hockey careers. 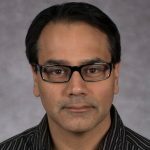 How It Happened: Back in the early days of the NHL, teams only had one goaltender on their roster. 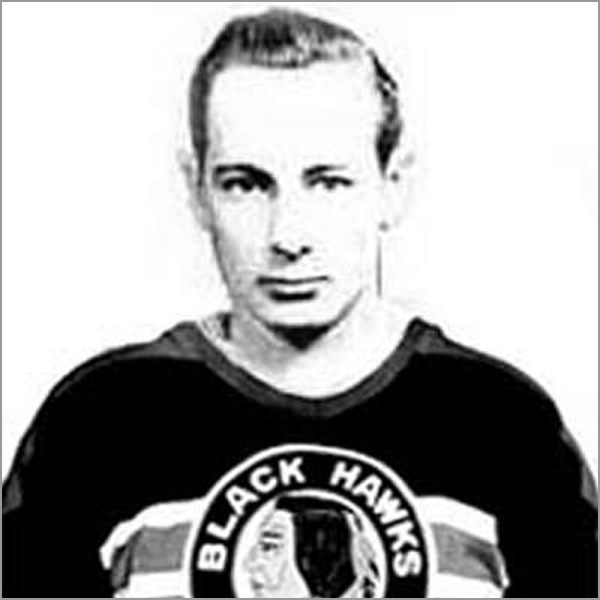 Black Hawks goalie Sam LoPresti was injured, so the team borrowed Bill Dickie from the Montreal Pats of the Quebec Senior League, most likely because they were playing the Canadiens in Montreal that night. How Did He Do? In his only NHL action, Dickie had a rocky start, allowing two goals within the first 7:05 of the first period. 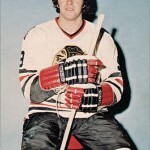 But the Black Hawks bounced back, and Dickie held firm, allowing only one more goal for a 4-3 Black Hawks win. 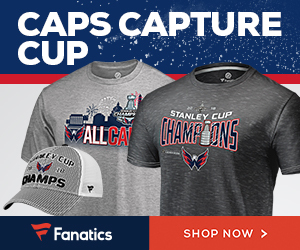 Fun Facts: Dickie was a standout goalie in college and was even the captain of his team. After the 1941-42 season, Dickie enlisted in the Canadian military and served during World War II. 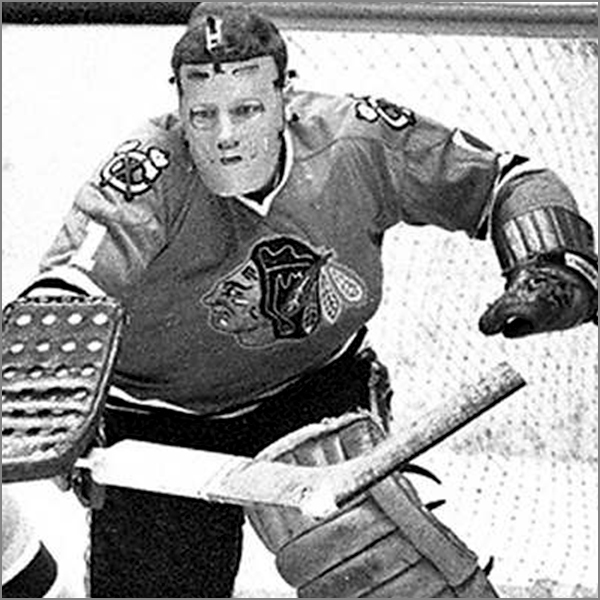 How It Happened: Ken Brown spent his entire four-year career with the Black Hawks playing for their minor league team in Dallas, but he lucked into being the backup for a game where Tony Esposito did not play so well. Esposito started the game for the Black Hawks, but was pulled at 2:11 of the third period after allowing his third goal. How Did He Do? Brown was put in immediately afterward to finish the game, which was 3-1 at the time, and stopped 13 of 14 shots. The Black Hawks scored one more goal late in the third, but ultimately lost. Since Brown was not in net when the Rangers scored the game-winner, he was not credited with the loss. 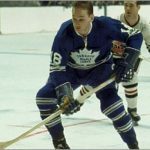 Fun Facts: OK, calling Ken Brown a one-game wonder may be a bit of a stretch; he did play in only one NHL game, but then went on to the NHL’s rival league, the World Hockey Association, where he played 52 games for the Alberta (and later Edmonton) Oilers over two seasons. How It Happened: After leading the 1992 U.S. Olympic Team to an unlikely shot at a medal, Ray LeBlanc was called up from the minors to appear in what would be his only NHL game. The Blackhawks promoted LeBlanc partially to reward him for his stellar play in the Olympics — but really so that he would have at least one game of experience, which was enough to make LeBlanc available in the 1992 NHL Expansion Draft later that year. How Did He Do? LeBlanc, who wore his Olympic mask, got a standing ovation when he took to the ice, and was greeted by cheers of “USA! USA!” whenever he stopped the puck. 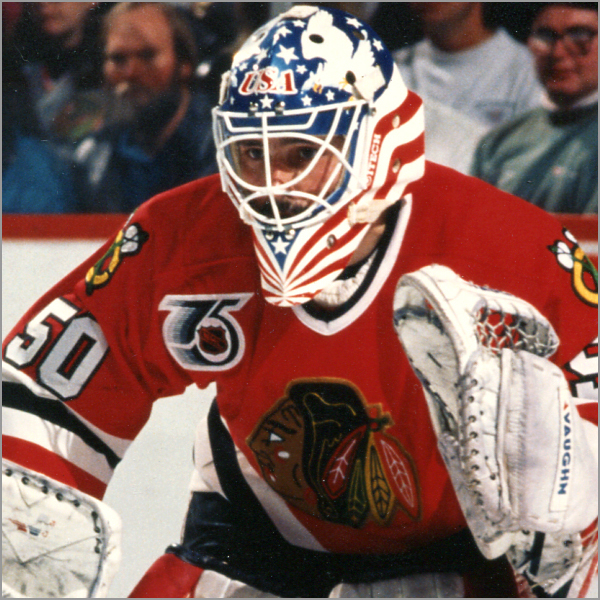 The fans at Chicago Stadium again gave LeBlanc a standing ovation when his bid for a shutout was broken on a breakaway goal by Sharks’ rookie (and future Penguins coach) Mike Sullivan. Otherwise, he was perfect that night, stopping 21 of 22 shots. Fun Facts: LeBlanc was a playable goalie in the EA Sports hockey video game NHLPA Hockey ’93 for Super Nintendo and Sega Genesis. 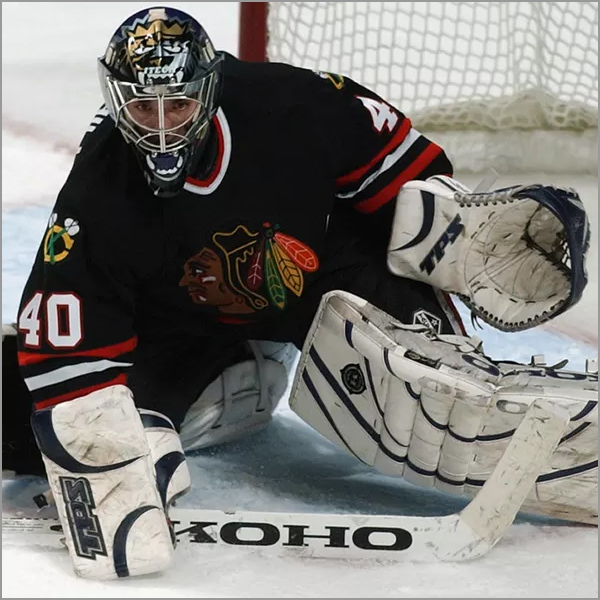 He later become a fan-favorite with the IHL’s Chicago Wolves. How It Happened? After two all-star seasons of college hockey at the University of Vermont, Christian Soucy signed with the Blackhawks in 1993 and was assigned to the minors. 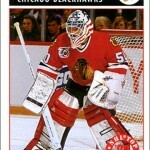 He was called up in March 1994 when starter Ed Belfour was injured. How Did He Do? “I played for 3 1/2 minutes against Washington,” Soucy told The Chicago Tribune in 1994. “No shots, no nothing. It was a nice seat, though. It was the last year in the [Chicago] Stadium and I just wanted to play there.” With the Blackhawks down 6-3, Soucy came off the bench to replace Jeff Hackett — only to be replaced by Hackett a few minutes later. Fun Facts: Soucy is the only goalie on this list who was put into a game and then taken out of the game. His three-minute stint was considered the second-shortest NHL career; goaltender Robbie Irons played 2:59 of one game for the St. Louis Blues in 1968. Both have since been surpassed, first by Shawn Hunwick (2:33 in 2012) and later Jorge Alves (7.6 seconds in 2016). How It Happened: The Blackhawks went through six — count ’em six — goalies during the 2003-04 season. Starter Jocelyn Thibault, backup Steve Passmore, and 2001 first-round pick Adam Munro all went down with injuries during the season. The Blackhawks two minor league goalies, Craig Anderson and Michael Leighton, were not yet ready for prime time and struggled. So the Blackhawks signed career minor-leaguer Matt Underhill, who had spent most of the season in the ECHL, two steps below the NHL. How Did He Do? Underhill did OK, stopping 29 of 33 shots, but the Blackhawks lost in overtime; not surprising, considering that the team’s leading scorer that season was Tyler Arnason (55 points in 82 games). It’s too bad that the team didn’t try a little harder in Underhill’s only NHL game. Fun Facts: Underhill is the only goalie on this list to play overtime. Counting the Blackahwks, Undherhill played for a total of nine hockey teams in his five-year professional career. 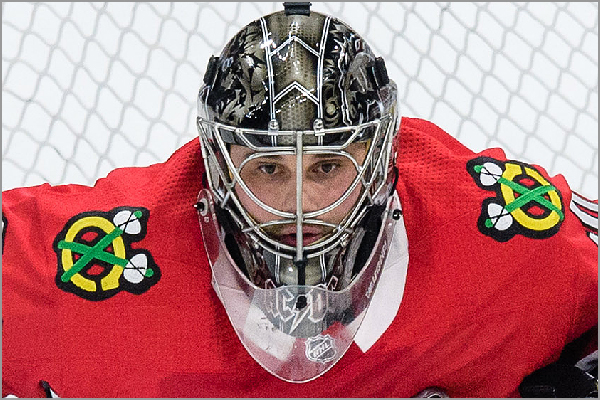 How It Happened: Both starter Corey Crawford and backup Nikolai Khabibulin were sidelined with injuries, so rookies Antti Raanta and Kent Simpson were pressed into service. Raanta had an absolutely atrocious game, allowing five goals on 25 shots through two periods. 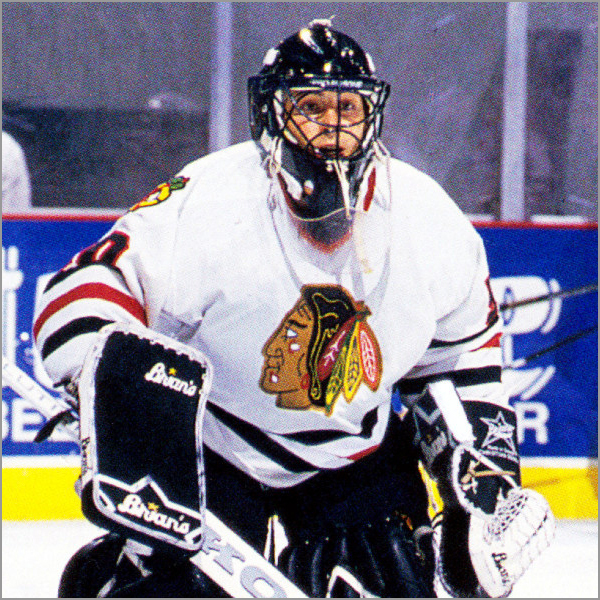 Blackhawks coach Joel Quenneville decided to give Kent Simpson his shot and put him in for the third period. How Did He Do? Speaking of shots, Simpson allowed a goal on the very first shot that he faced, 28 seconds into the third period. After that, he’d allow one more goal, but make five saves, too. And that was the sum total of Simpson’s NHL career. Fun Facts: Simpson once scored on his own net during a junior game in 2009. 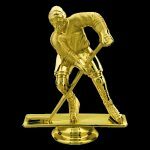 He won a Kelly Cup Championship in 2017 when he played for the Colorado Eagles of the ECHL. How It Happened? 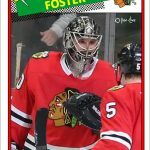 The stars had to align perfectly for Scott Foster to play in the NHL. 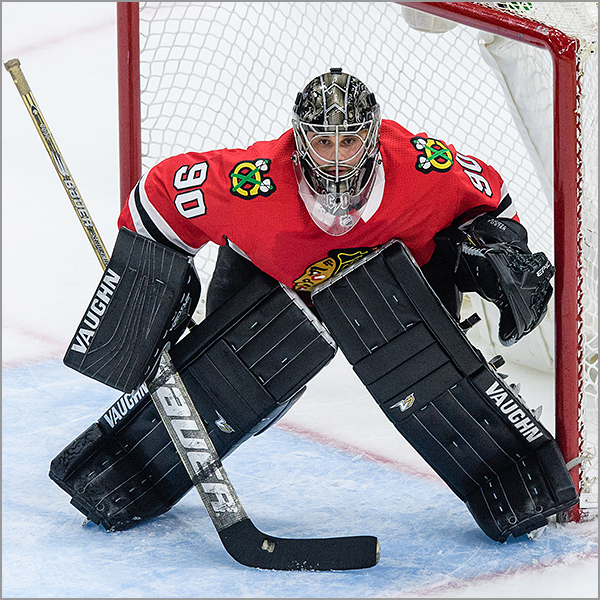 The 36-year old accountant and former collegiate goalie was the Blackhawks’ designated “emergency backup goaltender” that night, normally sitting in the press box unless a goalie on either team was injured. 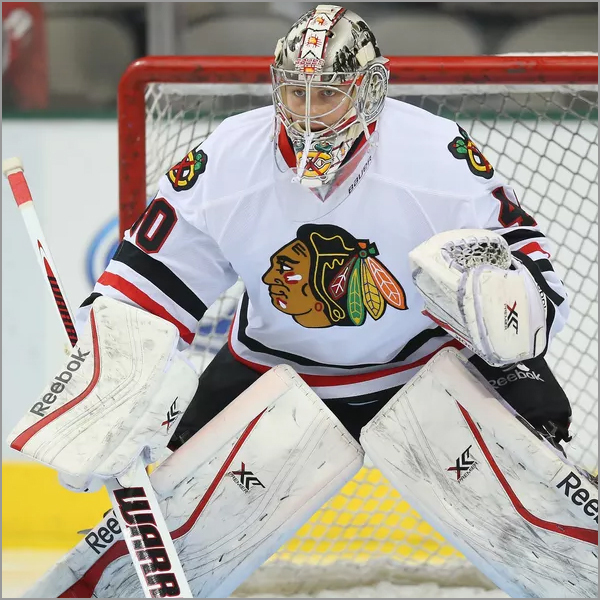 Starting goalie Corey Crawford was out with an injury, so backup goalie Anton Forsberg was scheduled to start. Third-string goalie J.F. Berube was sent down to the minors, and goaltending prospect Collin Delia was called up to back up Forsberg that night. But before the game, Forsberg was injured. It was too late to recall Berube from the minors, so Delia got the start, while Foster suited up and waited in the Blackhawks locker room. 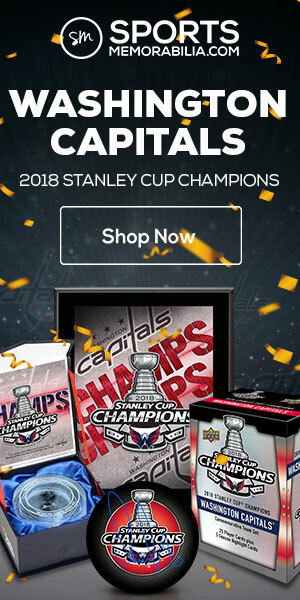 With 14:01 left in the third period, Delia left the game due to muscle cramps, and Foster came into the game as the first emergency backup goaltender to actually play in a game when the game was still on the line. How Did He Do? Granted, Foster came in with the Blackhawks leading 6-2. Nonetheless, he was awesome, stopping all seven shots that he faced, including a slap shot by Dustin Byfuglien and a pointblank chance by Paul Stastny. He was named First Star of the Game, and seemingly everyone the next day was talking about the accountant who became an NHL goalie for a night.